In the world of fitness wearables, we have seen a ton of new products flood the market recently. 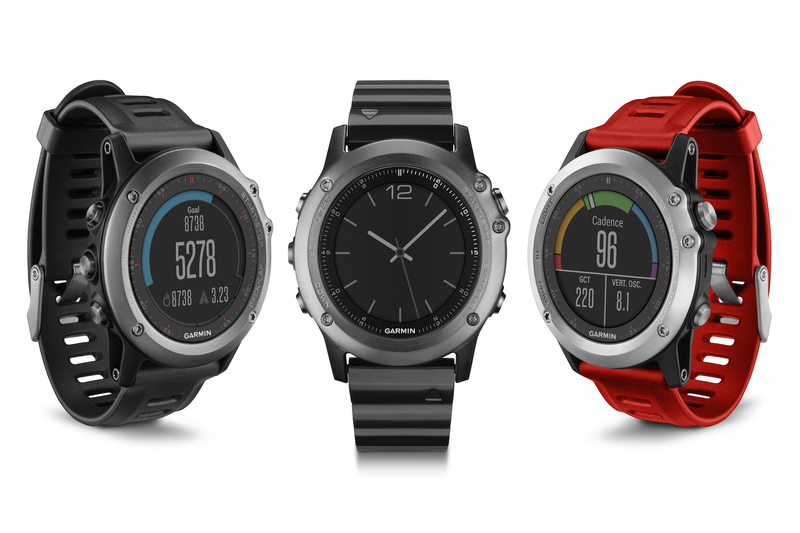 While there still seems to be a lot of feature convergence going on as they move away from specialized devices, the high-end market still seems to be dominated by two key players, Suunto and Garmin. If you are a tech nerd like me, these two brands are the only ones that deliver solid products with all of the features desired for those that like to get far away from the world. If you haven’t picked up on it before, I have been a Garmin guy since I started running. I have been using the Fenix 2 for over a year and have been pretty happy (you can find my review here). Given my overall satisfaction, I was actually hesitant to upgrade to the Fenix 3, but am really glad I did in the end. There are a lot of similarities between the 2 and 3 in terms of features, battery life, etc. so instead of doing a full blown review here, feel free to read my Fenix 2 review. Instead, I decided to highlight the key differences I have observed over the past few months with the Fenix 3 that made me glad I upgraded. Color Display. Ok, this is not a HUGE deal, but it does a couple of things for me. One, it is a higher quality display than the black and white one on the Fenix 2 that improves the readability. Second, it gives it a bit more of an everyday watch feel, which is important for me since I like to wear mine as an everyday wristwatch. Fitness Tracking. This is a big addition if you are in to the fitness tracking stuff. It tracks many of the common metrics like steps and sleep schedule. Not a big deal if you aren’t into it, but I have actually found the data quite interesting in assessing my activity when I am not running. GLONASS Support. For those that don’t know, GLONASS is the Russian satellite network that just recently became publicly accessible. With this turned on, you get an additional 24 satellites to key ping against. I have found that the watch does a great job at finding satellites quickly with this enabled. It also seems to help with data accuracy, which I describe in more detail below. WiFi. This is another nice to have for me. It allows you to connect the watch to a wifi network. When in range, the watch will automatically upload activities and download updates. You never have to worry about manually syncing via bluetooth or connecting it to a computer. Bluetooth! My biggest complaint with the Fenix 2 is the bluetooth functionality. They used a high power chip in the Fenix 2, which drained the battery faster. They improved this with the Fenix 3, making Bluetooth relatively cheap to use in terms of power consumption. It is also much more reliable when connecting to Garmin Connect on my iPhone. A win-win overall and by far the best improvement between the two models. Not as bulky. It is about the same size from a diameter perspective, but it doesn’t sit as high off of the wrist at the Fenix 2, making it a little less unwieldy to wear while running and as an everyday watch. Simultaneous ANT and Bluetooth Usage. This was another issue with the Fenix 2. You couldn’t have bluetooth enabled while using the ANT heart rate strap. They fixed this with the Fenix 3 allowing you to use them both. I have heard a lot of people talking about how their Fenix 3 is tracking short in more secluded/wooded areas. In running routes that would fit into this description, I have noticed the Fenix 3 tracking a little short in comparison to my Fenix 2. They may make some improvements to this with future firmware updates, but I have noticed that accuracy seems to be restored when I enable GLONASS. Doing so doesn’t seem to have any noticeable impact on battery life, so is might be worth it. If you like this post and would like to stay up to date when future gear reviews, race reports, and other related posts are released, please follow my Facebook page at Ultrarunner Joe! Also, I generally focus my reviews on trail running. If you are looking for crazy amounts of details, you can always check out THE man, DC Rainmaker and his review here. This entry was posted in Gear Reviews and tagged Accessories, Activity Tracker, Fenix 3, Garmin, GPS, GPS Watch, trail running by Ultrarunner Joe. Bookmark the permalink.